Many people feel they do not have the time or energy to live a healthy lifestyle, however, establishing a healthy diet and exercise routine can make a huge difference to your overall health. With larger portions being served, it’s no wonder America is experiencing an obesity epidemic. Many restaurants have implemented the ‘bigger is better’ idea, but portion control is a factor in maintaining your weight and creating a healthier lifestyle. When dining out, try choosing appetizers instead of a full meal. Instead of choosing a meal upgrade option, stick to a kids meal which can be more moderate in calories and fat content. Another factor is the type of foods served in your meals. A good starting point toward healthy eating is to make sure your diet is rich in whole grains, vegetables, fruits and various lean proteins and to eliminate processed sugars. Your body breaks down food and produces the energy it needs. Having too much sugar in your diet doesn’t always provide you with more energy but can cause a list of several health issues including dental cavities, diabetes, energy slumps, hyperactive behavior in some, and weight gain. Even minor changes in your activity can help. Many people believe they need to have a gym membership and get at least an hour of intense exercise to be healthy, but if your body isn’t used to, an extensive workout can do more harm than good. Begin by adding a simple walk, or extend your current walking routine. A good way to do this is by parking your car a bit further away than usual from your intended destination to get an extra 10-20 minutes of exercise per day. Another way of increasing you exercise routine is to choose the stairs over an elevator. Exercising every day is not necessary. Initially aim for three times a week for at least 20-30 minutes a day and notice your stamina increasing as weeks go by. Small changes make the biggest impact. Begin your healthy diet exercise routine today and begin to feel the difference in your energy, appearance and overall health with time. Your annual health check-up can be the jumpstart to a new you. 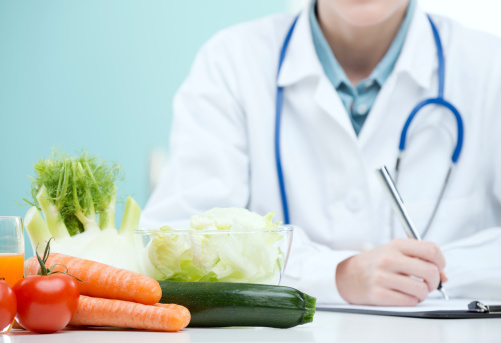 Invest in you and meet with your primary care physician prior to beginning any changes in diet and exercise.